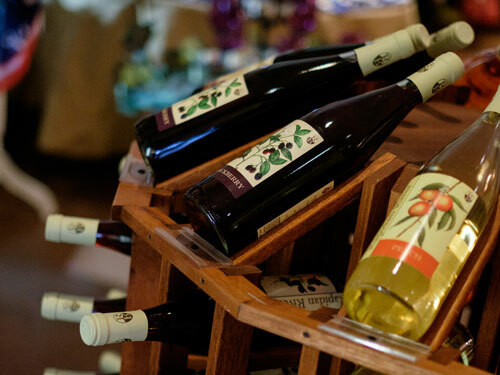 Enjoy Virginia Wine Country from all over the United States. Prince Michel will gladly ship your wine and wine club packages to any of our eligible states listed below. We have partnered with UPS to ensure your wine arrives safely and on time. Please be aware that all alcohol sales that are shipped to any state have to be signed for by someone at least 21 years of age and not under the influence of alcohol at the time of delivery. State Law requires that all packages containing alcoholic beverages has to be signed for by someone at least 21 years of age and not intoxicated at time of delivery. There will be a reship fee charged for all packages requiring a reship for when no signature was obtained during the original shipment for all orders. UPS Access Point Delivery is not available with any alcohol shipments. AL*, CA, CO, DC, FL, GA, IA, LA, MD, MI, MN, MO, NC, ND, NJ, NY, OH, PA, RI*, SC, TX, VA, WI, WA, WY. RI is on site purchases only. We can ship if purchased at main location. We cannot ship for online and over the phone orders. AL is a ship to ABC store location only. We will replace or refund you for any bottle of wine or a gift item that is damaged or flawed. By law, we cannot except returns of alcoholic beverages. We are also unable to except return of wine that was damaged due to adverse weather conditions during shipment, or wine that was ordered in error. We will replace the wine or gift, or refund your credit card account for the cost of the wine or gift. If the original shipment was damaged in transit or flawed, you will receive a replacement or full refund, including shipping and handling charges. Please contact us at (540)547-3707 for return instructions.